You are here: Home / News & Articles / Orangeries Vs Extensions: What should I opt for? Orangeries Vs Extensions: Which shoud I choose? Well, you need not question your ignorance on the subject just yet, as we are going to cover orangeries in detail in this article, and should help clear your doubt of how it’s different from an extension. Also, if you’re interested, we will provide you pointers on how you can plan on building one, provided that you have space and you would like to give your house a new look. In the 16th to 18th century during renaissance period, orangeries were invented in Italy as a method to protect citrus fruits from the harsh winter weather. This was a separate building usually constructed in grounds of fashionable villas, mansions or castles, consisting of brick walls, clear glass windows, and roof to give it a luxury look plus providing ample sunlight in order to maintain favourable temperature for the fruits. At first, the purpose of orangeries was to only protect orange plants from winter, hence the name, later other citrus fruits were also added. Then when imported citrus fruits became a cheap commodity shrubs and wooden plants also gained admittance in the orangeries. Although starting from Italy, orangeries particularly gained recognition as a fashionable trend for luxury houses, thus slowly becoming a status symbol for Europe’s elite. Now if you have some knowledge on this topic, the thought of conservatories may be coming to mind. But based on the description provided above, but a conservatory is slightly different with more glass work and less substantial use of masonry. You will find a classic styled orangery has a solid flat roof with raised glass lantern sections, sometimes 2 or 3. The sides will feature extensive use of columns and pillars or pilasters, with a substantial fascia at the roofline which hides the rainwater guttering from sight. A conservatory will have a pitched glazed roof, no fascia to speak of, and the guttering will be visible. Even a typical large conservatory will be as much as 70% glass. A proper house extension is different from orangery based on their usage and design structure. Extensions are primarily built as part of the main building of the house with the possibility of having an external door and having a similar exterior and interior look, giving more of a feeling of “just another room”. Of course, house extensions could also be a new bedroom, bathroom, loft conversion or even a basement room, but those are “internal” modifications which, whist they make use of space, do not add to the footprint of a property. 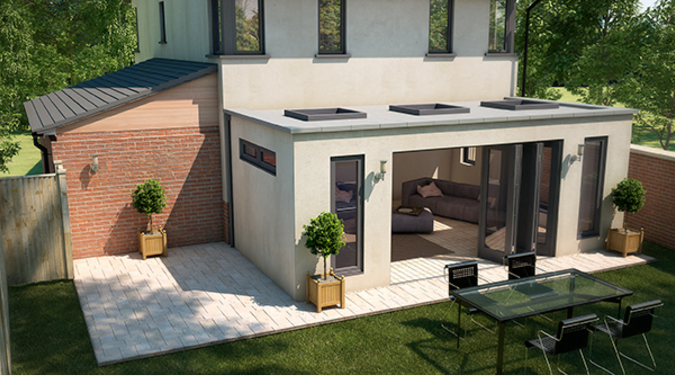 House extensions can be more than a single storey structure and go up to the full height of the property, orangeries are always single storey rooms. So if you want height, then an orangery will not be suitable and you should go with a traditional home extension. Orangeries are mostly built as a separate building or extended from an adjoining wall with a design of their own. They can also be built away from the main building as free standing structures. They are built with brick walls or solid sections, with large clear glass windows and clear glass section in the roof, to allow maximum sunlight yet providing a controlled temperature all year around. One of the most often quoted reasons for building an orangery rather than an extension is that it may be possible to build your orangery without planning permission – this is not always the case but if you meet the permitted development rules in your area, then you can build without planning. Check before starting work. You will need to consult some expert to design the extension, draw up the plans and submit them for approval – all this takes time & money (not to mention the stress of waiting for the result!). There will be disruption to your family life whist construction is underway, but an orangery can usually be completed quite quickly (3 to 4weeks), whereas you may have “the builders in” for several weeks more to complete an extension (whoever heard of a home extension being finished in 3 weeks?). The biggest element is by far the cost of each project. ACost to build an extension: A medium sized extension could cost between £30,000 to £50,000 (In London or the South East of England that could be higher). The building industry has had its fair share of cowboys, as has the double glazing industry, but the double glazing industry has taken a lot of steps to boost consumer protection and therefore confidence. 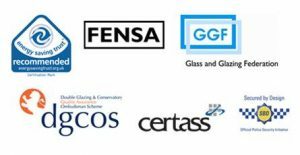 GGF – Glass & Glazing Federation. CERTASS – Certification & Self-Assessment. DGCOS – Double Glazing & Conservatory Ombudsman Scheme. These trade bodies asses their members for competence, require them to provide insurance backed deposit guarantees and ensure they comply with codes of conduct. This means that an independent 3rd party has already checked for the ability of the installer to carry out the work and is, in effect, backing them. So, in our opinion, if you are looking at adding single storey space to your home an orangery is a perfect solution, but if you want a double storey room then you should go for a standard home extension. Orangeries are a better option than extensions as they provide the feel of an extension, yet the material used in them make it a less expensive option with a greater purpose of being used throughout the year. Now, if you are somewhat convinced that building an orangery is a good idea, you will be interested to know the cost of building the complete structure. An average good quality orangery will cost you around £20,000 to £25,000. However, some of the more sizable and elaborate orangeries can run to £35,000 or higher. You can probalby be aggressive in your budgeting and trim out some extravagances to get the cost it in the region of £18,000 to £20,000, by limiting any wishful design element on the structure and just building a “stripped back” orangery. Using an “average” quality glazing with more glass in the room and less solid walls, can often help save on costs. It may be that if you can get a better deal by building the room during an “off -peak period” – Late spring, summer & early autumn would generally be busy times for installers. Although not necessary, but since you are building an attractive, purposeful new structure, hiring an architect will provide you with a clear picture of the exterior and interior of the structure. It may be expensive but professional help can streamline your work. If it is required, an architect can assist you with all the aspects of gaining planning permission from the local authorities. Usually, people tend to take several quotations from a number of different conservatory or specialist orangery installers, (which we can help you with here) and then compare this against their original budget. If you do it this way around, you will have the cost of your orangery figured out and this can then provide insight as to how much of your budget is remaining to cover the costs of interior furnishings, design & decor. Orangeries are oftentimes a more viable option than an extension, as they provide a similar purpose that is easier on the pockets giving a different look to your home, also, an all year round comforting retreat overlooking the garden can get addictive. Save up to 50% on Listed Conservatory & Orangery PricesCompare up to 3 quotes from professionally accredited UK installers. 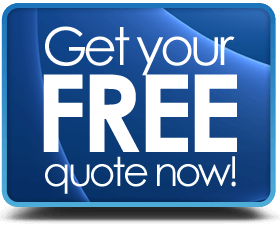 Everything you need to save money on the cost of a new orangery or conservatory, all you need to do is ask & we bring the installers to you.